Here's a different way to get your vitamin C! You probably shouldn't substitute it for your morning glass of OJ, but the Citrus Drop is perfect for a girls' night in! 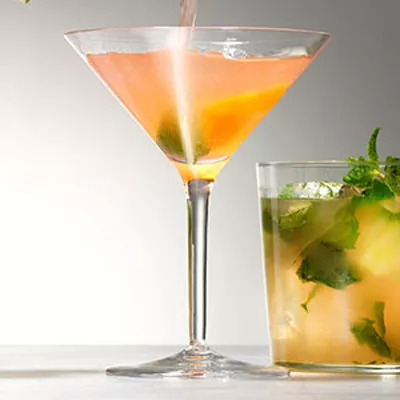 Pick your favorite citrus-infused or citrus-flavored vodka, add some orange juice (or blood orange juice if you can find it) and a splash of Prosecco (or any sparkling wine), and top it off with an orange peel. The Citrus Drop is simple to make, but not sinful to taste. This cocktail doesn't have extra sugar or added calories, plus bubbles from the Prosecco can help your stomach feel full, causing you to sip slowly and drink less throughout the evening. What's more, citrus zest is packed with essential oils that help fight the growth of bacteria. Cheers to another healthy Thirsty Thursday!